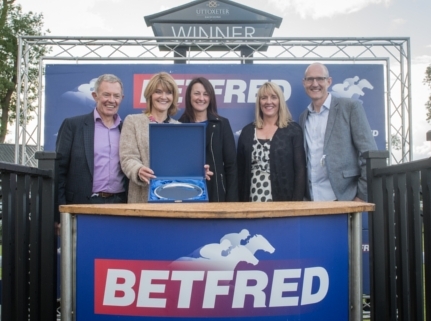 Many thanks to everyone that joined us yesterday at Uttoxeter Racecourse. A fantastic day was made even better as David, Susan and friends were given the opportunity to present the owner of the winning horse ‘Barton Rose’ with their award. And to top it off, Susan had even bet on this horse to win! What are the odds of that!